Before we begin our countdown of the top five special creatures that can be found at Magic Oceans house reef, it seems very important to note that this reef is open 24/7! As many keen divers will already be aware, the kinds of sea life found during the day are totally different from what you can find when the sun disappears. This unlimited access allows guests to experience the full spectrum of diversity that Anda’s reefs have to offer. On top of that, Magic Point has a combination of all the different topographies a diver could wish to see, swim south for muck diving, head east for a sandy slope with bombies and go west for a steep wall. We just couldn’t resist making Turtles our number one! Sure, there are many places in the world where Turtles can be found, but they are just so adorable and can be found in such abundance at Magic Point. 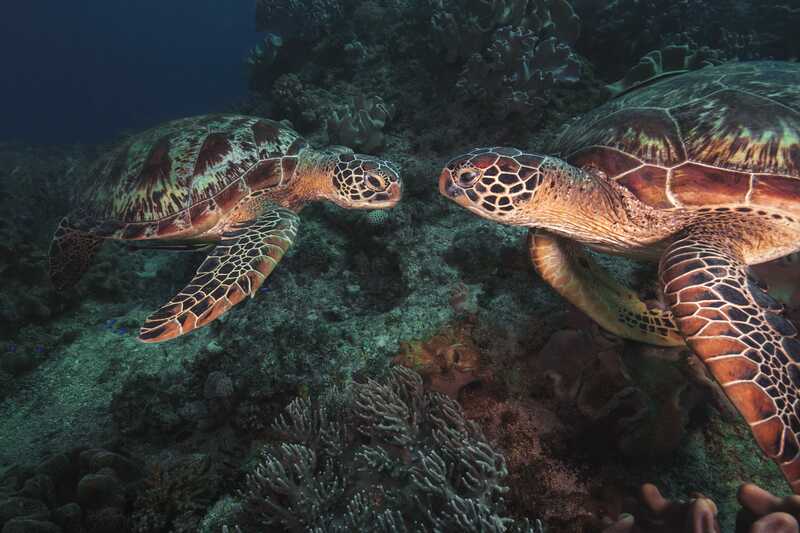 It’s had to finish a dive without bumping into Green Turtles and Hawksbill Turtles. In Anda anti-harassment rules are strictly observed, meaning these awesome reptiles are super relaxed and unfazed by divers. To say there are a lot of crustaceans at Magic Point would be the understatement of the century. Spearing Mantis Shrimps, Peacock Mantis Shrimps, Anemone Shrimps, Porcelain Crabs, Candy Crabs, Decorator Crabs, Harlequin Carbs and Hairy Squat Lobsters are only the beginning of the list. 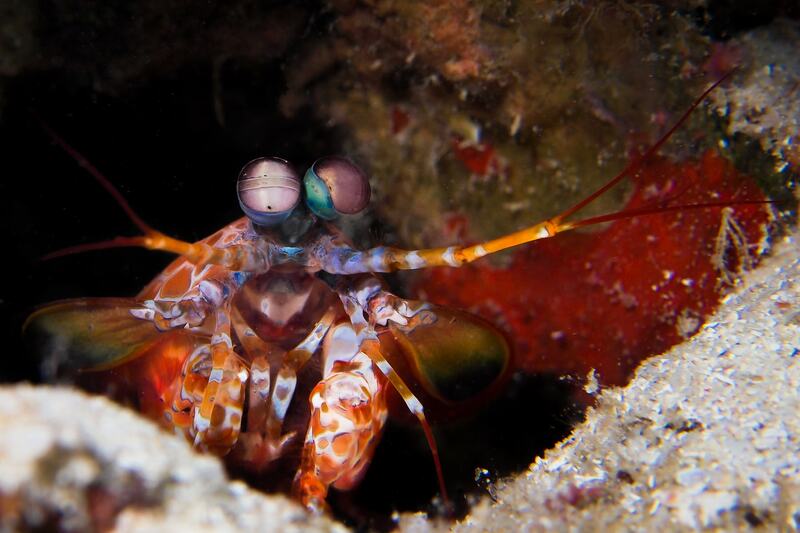 Spotting the diverse range of crustaceans at Magic Point is one of the best things about this house reef being open 24 hours; not only do these guys all come out of hiding after dark, but their eyes reflect the torchlight and glow a brilliant fluorescent red. Frogfish. Photo Credit: Gino Symus. You would guess from the name ‘Giant Frogfish’ that these guys would be easy to spot, not the case… Frogfish are able to mimic their surroundings, in both color and texture, making them difficult to spot even when they are as big as 50cm. 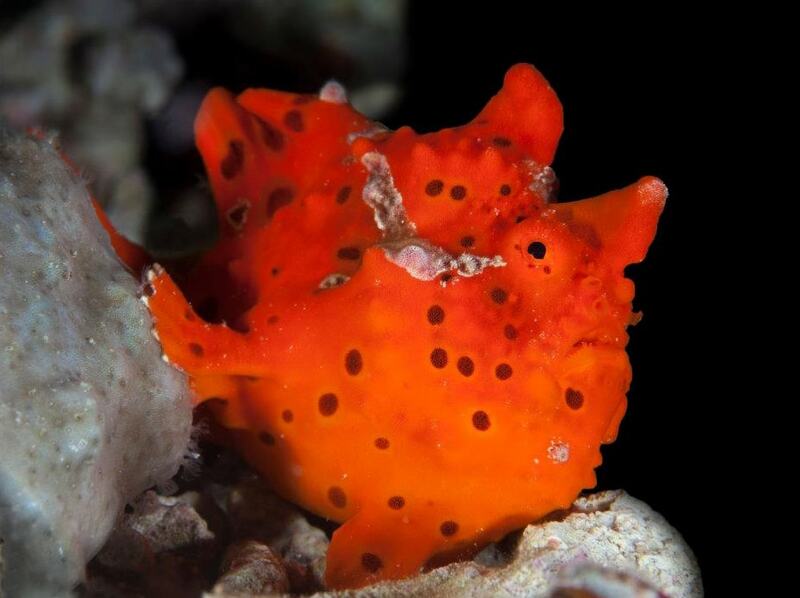 Luckily it’s the specialty Magic Oceans’ Divemasters to find Frogfish. It’s not only the Giant Frogfish that can be found on this reef, but the much smaller Warty Frogfish is also a regular at Magic Point. Don’t be deterred by the name, Warty Frogfish are super cute, and the range of colors and textures on their skin is very striking. For sure every diver loves Nudibranchs, and identifying the huge variety found at Magic Point is enough to stump even the most expert Latin linguists. 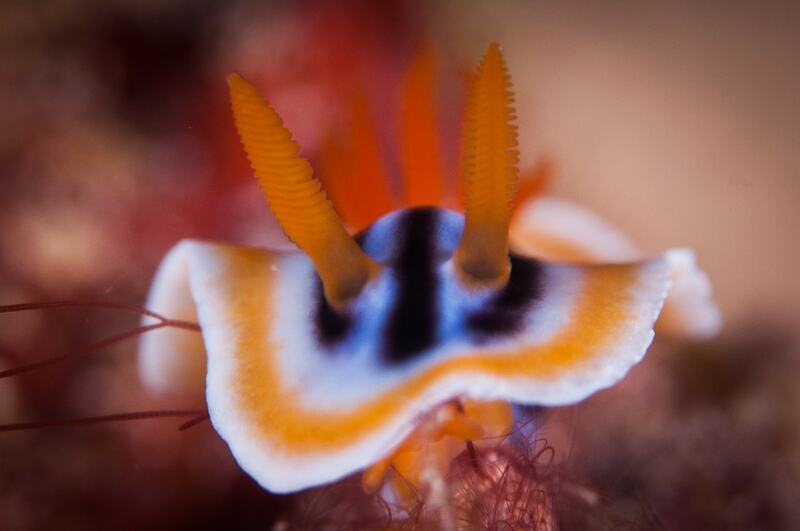 Of course, the Chromodoris can be found in abundance, but tucked away in the reef divers can also find Aegires, Hexabranchus, Goniobranchus and Armina, just to name a few. Feeling confused? Let's make it simpler. The Common Nudi, Flat Worms, Banana Slugs, Spanish Dancers, and more, all call Magic Point home. 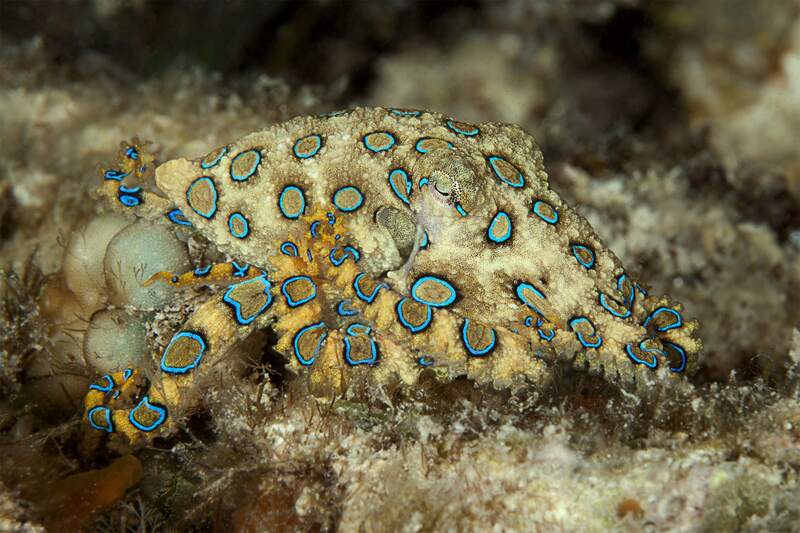 Blue Ringed Octopus. Photo Credit: Sege Ego. It seems the more we learn about Octopi, the more intriguing these creatures become. Octopus can be difficult to spot; since they don’t have any bones, they are able to squeeze themselves into the tiniest of holes. But at Magic Oceans they like to take their time, and it certainly helps that their local guides are excellent spotters. At Magic Point watchful divers can find Common Octopus and Wunderpus, even Blue Ring Octopus can be spotted during one of their amazing night dives. Experience the Top 5 Special Creatures at Magic Point for yourself, call our offices at 800-330-6611, request a quote now or send a note to sales@caradonna.com. We will arrange all the details of travel, diving, transfer and accommodations in one shot.